In June, four of my flash fiction stories were shortlisted in the 111 Emergency Words competition. 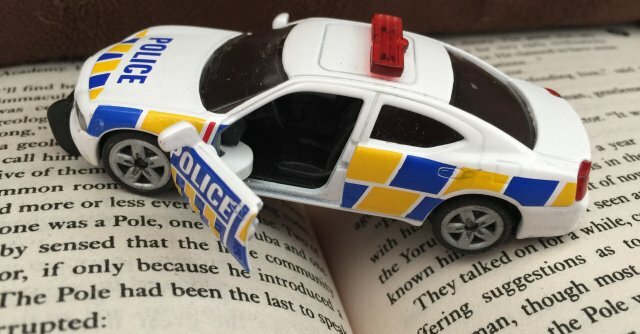 The rules were that stories must consist of exactly 111 words and be on the theme of the police, ambulance or fire service. Here are my four stories. Smoke and Dust received an Editor’s Choice prize. A sudden, shuddering jolt. Searing heat. An echoing boom. Concrete columns cleaving and crumbling to dust. Steel reinforcements twisting and screeching. Beams bending and buckling. Splitting, rupturing floor tiles; the heave, the rumble and the sickening drop. Crackling oak and splintering beech. Sheering metal and snapping cables. Shattering glass, raining biting shards. Howls of shock and wails of fear. Skin pierced, punctured and lacerated. Gashed flesh. Severed and perforated limbs. Bodies torn and pounded. Crushed. Smashed. Scorched. All cloaked in a billowing, expanding veil of smoke and dust. Choking. Suffocating. Then resting. And, for the merest moment, a stunned, empty silence before sirens in the distance begin to wail, increasingly loudly. He glanced at the monitor’s clock again. Still twenty minutes until shift’s end. The morning had been uneventful; seconds stretching endlessly rather than ticking by. He surveyed the room. Banks of identical desks; grey partitions exposing only the tops of heads. Operators slouched in ergonomic chairs while overhead vents pumped chilled air. He turned back to his monitor. Nineteen minutes. Then he’d collect the kids. And groceries for dinner. He began forming a mental list. His screen blinked into life. Suddenly other operators bolted to attention like alarmed meerkats, adjusting headsets lazily allowed to droop around necks. So many incoming calls. He accepted one. She hesitated on the doorstep. Hands sweaty, she wiped them down the sides of her perfectly-pressed trousers. She removed her hat, slotted it under her arm and tucked a stray lock of hair behind her ear. This was her first one. Two years in the job; her boss had told her she was ready. But can you ever really be ready? Stomach sinking. Deep breath. She lifted the heavy brass knocker, aiming for gentle beckoning rather than a thud of doom. Behind, in the hall, shuffling then the metallic click of locks. The instant look of concern induced by her uniform. The screeching wail of buckling metal and the drone of machinery. Urgent, murmuring voices. And beneath the cacophony, the metronomic tick-tock of the indicator. The haze in her head clearing: sheets of rain in a sky prematurely dark; the blinding, distorted glare of headlights; hands tight on the wheel, crossing the intersection; a deafening, blaring horn. Then nothing. And now, a biting pain in her neck, the belt pulled tight. Suspended in the overturned pile of metal, blood flowing to her head. Through the spiderweb of shattered glass, upside-down boots. Like a tin can, the peeling back of metal as the jaws of life reach in to free her.